Membership is your chance to support us while enjoying free entry to more than 800 hundred properties and gardens throughout Australia and overseas. Already a membership? Renew your membership online, it's quick and easy. 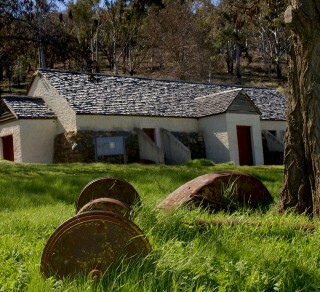 The National Trusts of Australia have reciprocal visiting arrangements with heritage organisations in other countries. Members gain free entry to hundreds of Trust properties in Australia and in over 18 countries around the world. Participation in a range of social and educational activities. Receipt of the ACT National Trust’s quarterly publication Heritage in Trust and national magazine Trust News. Your membership subscription and participation in Trust activities contribute to the conservation and preservation of Australia’s heritage. The opportunity to take part in the work of the National Trust through various Committees. Information on our range of local, national and overseas tours. 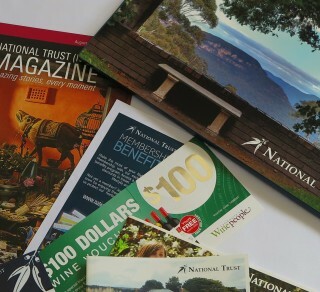 A 10% to 15% discount in National Trust gift shops throughout Australia. Benefit from our partnership with the Friends of the National Library of Australia – 10% discount in the NLA bookshop, Friends discounted price for Friends events & access to the exclusive Friends Lounge. If you're interested in Life Membership please call the office on 02 6230 0533.